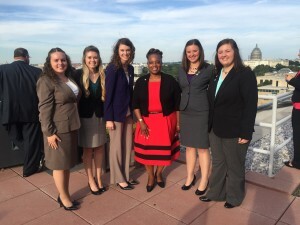 Ashley Leer was one of 21 agricultural education majors, representing 17 institutions, selected to attend the Future Agriculture Teacher Symposium in Washington, D.C. on September 22-24 in conjunction with the National Teach Ag Day celebration. 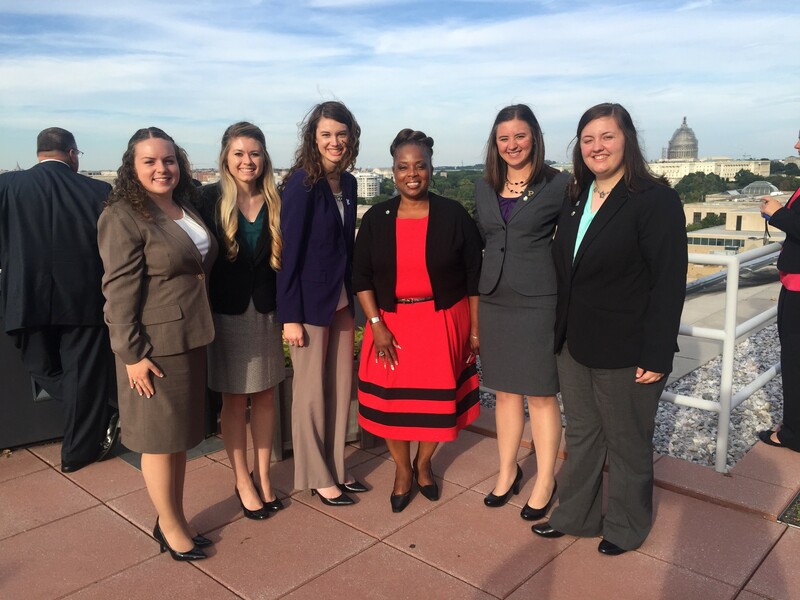 Ashley Leer, third from left, pictured with other future agriculture teachers in Washington, D.C. 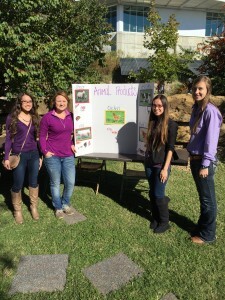 The Agricultural Education Club spent a day at the zoo advocating for agriculture to children in the Manhattan area. The Sunset Zoo hosted Safari Edventure Day 2015 on Friday, October 2. The day was to help educate students on various types of animals through fun hands-on activities and presentations. 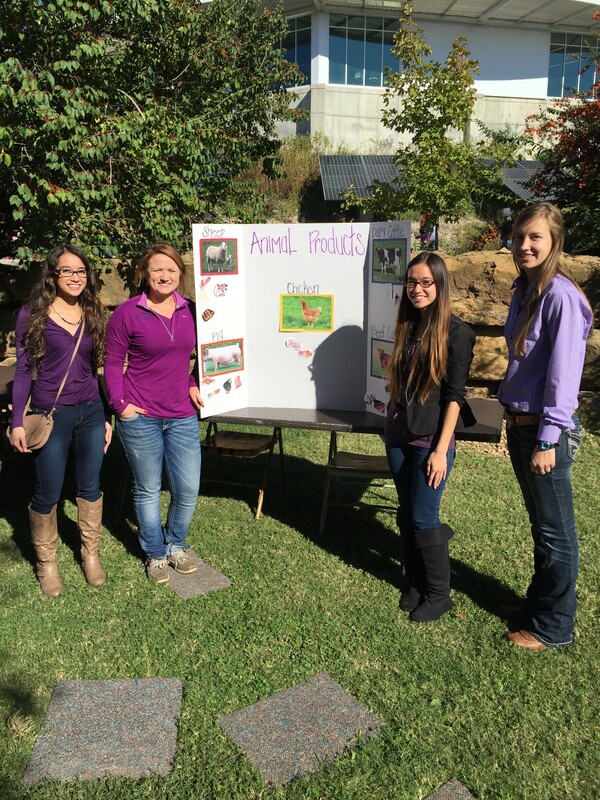 Members of the Agricultural Education Club at the Safari Edventure Day 2015 from left to right: Meghan Strassburg, Elizabeth Rogers, Melissa Strassburg and Baylee Siemens. Share your family holiday photos with us! 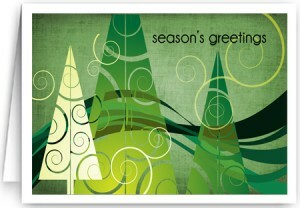 We love to hear from our alumni and will share family holiday cards again this year! Exciting things are happening in Agricultural Education. 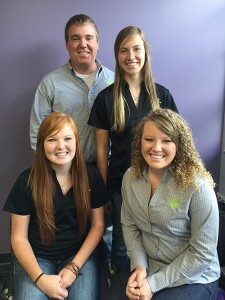 We are pleased to introduce the inaugural Teach Ag Students of Kansas (TASK Force). These four students will be traveling across the state to all seven FFA districts along with hosting two on-campus events encouraging students to consider a future in Agricultural Education. The members of the TASK Force are (back row, from left) Jake Rutledge, senior; Baylee Siemens, sophomore; Courtney Schamberger, junior; Cheyenne Moyer, graduate student. Being a graduate student at Kansas State University can be hard work, but what about life after? Graduates of the Master of Science in Agricultural Education and Communication graduate program have found themselves busier than ever in their new careers.